Colonial Revival historical home located in the Monument Ave historic district less than a block from Stuart’s Circle. This historical landmark, built in 1925, was designed by Baskerville & served as the rectory for St. James Episcopal. One of the few homes in the Fan built on a double lot. The garden has a walled English garden with three-tiered fountain, 3-car garage,& 2 additional spaces for parking. Entering the open foyer, your eye will immediately be drawn through the paneled arch into the conservatory & through the double mahogany French doors out into the garden. Garden is enclosed with a brick wall, fencing, mature shrubbery for privacy. 1218 West Franklin also boasts 6 bedrooms, 3 full baths, open kitchen concept, full basement & so much more. A combination of the elegance you expect from Fan homes & the practicality & flexibility needed for family living. Garage is ready for tax abatement when you build the apartment above the garage! Recent upgrades have been done with great care & highest quality. Upgrades & original charm make this home truly one of a kind. Great location – walk to several churches, VCU, restaurants, parks, museums, gyms, or events. 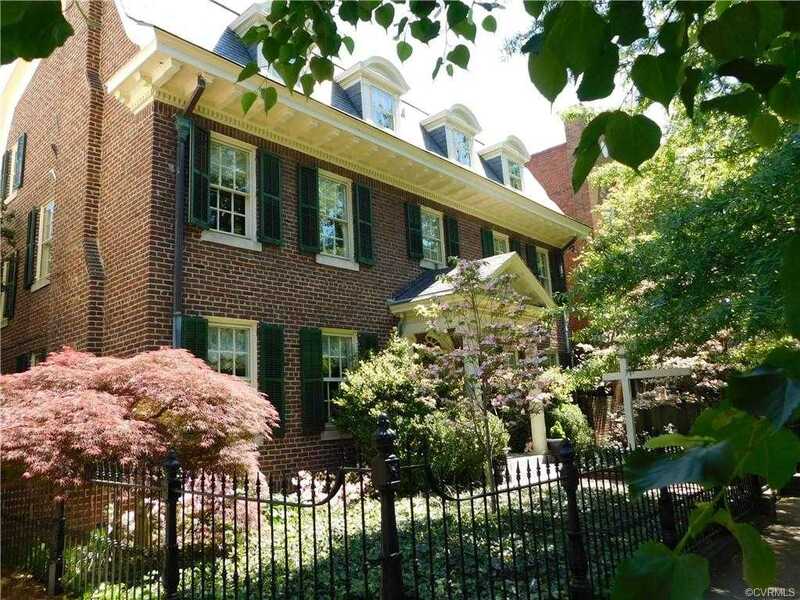 Please, send me more information on this property: MLS# 1900001 – $940,000 – 1218 W Franklin Street, Richmond, VA 23220. I would like to schedule a showing appointment for this property: MLS# 1900001 – $940,000 – 1218 W Franklin Street, Richmond, VA 23220.